Down in South Alabama on the eastern shore of Mobile Bay, a peculiar and unpredictable phenomenon, known nowhere else in the Western Hemisphere, occurs. That phenomenon is known as a “Jubilee”. It produces conditions which cause thousands of fish, crab, shrimp and other marine inhabitants to move into shallow water and towards the beaches. The Bay creatures then lie dazed on the shore line while lucky residents “harvest” the bounty. The story of Carrington Foods originates from that history and a rich history of family tradition. 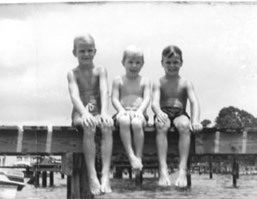 Growing up on Mobile Bay appears to have destined David Carrington, now Chairman of Carrington Foods, for a career in the food industry. That career actually began one summer day following a particularly large jubilee harvest. In the Carrington family kitchen, David and his wife Sally, using crabmeat from the blue crabs, began experimenting with a family recipe for seafood stuffing. 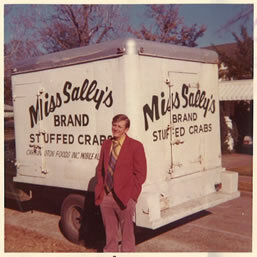 After some “Miss Sally” alterations and the perfecting of the delicate hand stuffing of the cleaned crab shells, Carrington Foods and Miss Sally’s Stuffed Crabs commenced production in 1971. 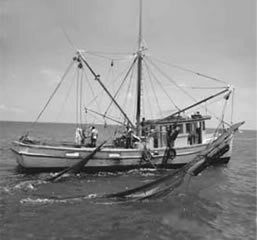 David began the business in a small facility in a small coastal city, bearing the name Bayou La Batre, located in south Mobile County Alabama. Since those small beginnings, the company now occupies a large, modern facility in north Mobile County, where it is more accessible to interstate trucking lines. The Company has come a long way from its origins as today its product line includes both seafood and non-seafood products. However, one thing has not changed-the Company’s top priority of quality at an affordable price. Today, David Carrington, along with sons David Jr., B., and Fred, are committed to providing outstanding food at an affordable price. Because of their commitment to quality, the Company has enjoyed steady growth throughout the years and has evolved into one of the largest value-added seafood companies in the U.S. That growth has enabled Carrington Foods to produce a significant number of different products including stuffed shrimp, stuffed fish, shrimp cakes, crab cakes, crawfish cakes, stuffed jalapeno peppers, various seafood stuffings, and a variety of seafood blends in natural sea shells, in addition to a very well received cornbread stuffing. Custom formulations are available as we welcome the opportunity to formulate a special recipe for any customer. Carrington Foods was one of the first companies to operate its production under HACCP guidelines and is now SQF certified. It is inspected by the FDA, the State of Alabama, and the U.S. Armed Forces. A third party auditor inspects the plant for GMPs, sanitation, and quality control programs, and it has consistently earned an excellent rating by these audit teams. In 2008, Carrington Foods received from that auditor a Platinum Award which is given only to the top 10 manufacturers in the U.S.
Carrington Foods is also committed to operating in an ecologically ethical manor. To that end, we have taken steps to ensure that we only procure raw materials from suppliers that preserve the fisheries in which they harvest their seafood. As a responsible manufacturer, we believe that it is our responsibility to ensure that future generations have access to the same fisheries from which we have been blessed. We inspect the crab processing plants of our suppliers to ensure that they are harvesting the crab meat in a sustainable manner. 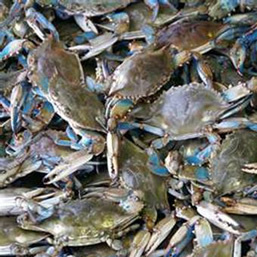 In addition, Carrington Foods is now a member of the National Fisheries crab council, which is a coalition of businesses dedicated to the sustainability of the blue swimming crab and funds improvement efforts in several countries.